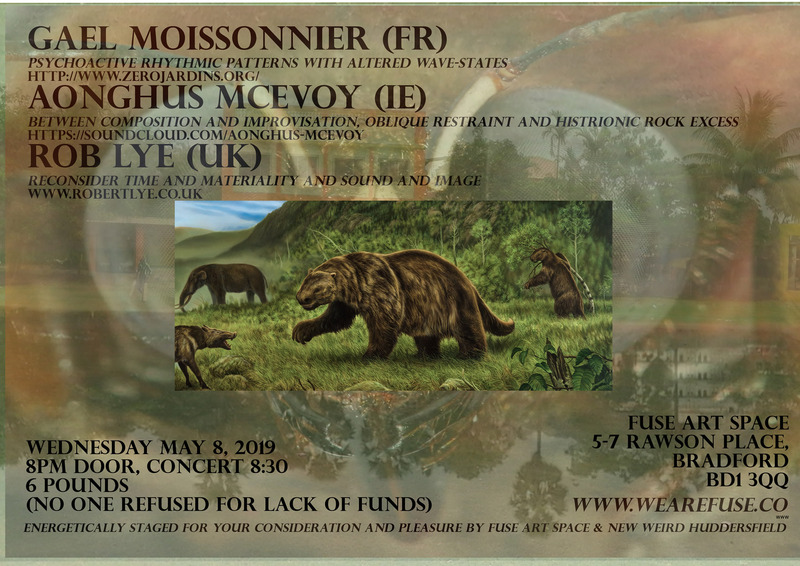 Gael Moissonnier is a French self taught experimental musician and sound artist.. His musical interests focus on fully immersive physical sound situations and psychoacoustic phenomena. His improvised live performances are built with psychoactive rhythmic patterns and sine wave drive meditative drones proving altered states of consciousness. Rob Lye is an artist and musician based in London. His music explores heavily granulated field recordings, phantom melodies and rhythms presented with moving image based work that seek to explore and reconsider the experience of time and materiality.